This is a PDF that prevents display on these pages. Tests to be used at Preliminary Rounds can be downloaded from the Dressage Testspage on the Pony Club website.. Commanders are permitted at Prelim Rounds only. The Novice class will be split according to age, 12 years & under and 13 years & over. Age as of 1st Jan 2018. The qualifying places will be taken from the class as a whole. For 8 years and under. Lead rein riders must remain on lead rein at all times whilst on the show ground. Class 3D for those wishing to only do the dressage test. For riders aged 10 and under. Class 4D – for those wishing to only do a dressage test. The Highest placed CHSPC Member in class 6CT will receive the Toler Trophy. Please be aware of and make a diary note of these two forthcoming competitions, the Dengie classes of which are open to all – whether or not PC members. If you are NOT an ECBPC member, please use the relevant entry form attached. ECBPC members enter via EC website. This Dengie competition was originally planned for the 3rd so please ensure you have amended any prior diary entry. We have experienced an unprecedented number of entries this year which has resulted in us having to take the decision not to run a Non-Pony Club section in Class 2 – the 90. In doing so we have had to disappoint over 30 riders, many of whom have been coming to the Cheshire Shield competition for several years. We are very grateful to our friends running the Area 3 Riding Club event the following day, Sunday the 8th, for agreeing to take all those who chose to transfer. Class 4 (PCOpen-110) – 1 Arena accommodating a total of 25 entries. Class 4, section E: Non-PC individuals. Within those divisions, riders will generally be listed geographically, with those travelling furthest going toward the end of the grouping. The draft timetable below will perhaps help you to structure your day. Dressage 8.00 a.m.– 11.00 a.m. 11.00 a.m. – 1.30 p.m. 1.30 p.m. – 4.00 p.m. 2.00 p.m. – 4.00 p.m.
Show Jumping 8.40 a.m. – 12.30 p.m. 12.30 p.m.– 3.00 p.m. 3.00 p.m. – 4.30 p.m. 4.30 p.m. – 5.30 p.m.
Cross Country 9.50 a.m.– 1.10 p.m. 1.40 p.m. – 3.40 p.m. 4.00 p.m. – 5.05 p.m. 5.30 p.m. – 6.10 p.m. The full timetable will be published on the East Cheshire website at 6 p.m. on Wednesday the 4th July and will be emailed to all those receiving this email. The current hot and sunny weather seems set to continue until at least after the weekend of the competition. Unsurprisingly the ground conditions might be described as firm to hard. In order to address this and present the best conditions achievable in the circumstances, the XC course is already being watered. 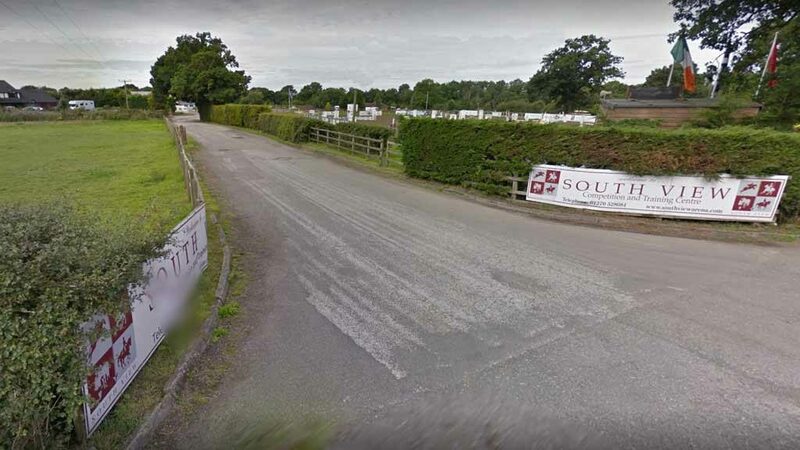 Furthermore, we have been liaising with Somerford Park Farm and Area 3 of the Riding Club who will use the same course the following day, and agreed that we will jointly finance the application of 15,000 cubic metres of water (at 1000 litres per cubic metre that is a lot of water) onto the XC course on Friday 6th alone. This will involve the hiring of three tankers, tractors and drivers to deliver about 110 loads during a 12 -14 hour day. Needless to say, the total cost will run into the thousands of pounds. I am sure you will understand if we decide that it is necessary to impose a starting levy per rider which will not exceed £5. We would also ask that you take sensible precautions for riders, spectators and horses. There will be a water tank at the XC start – finish for cooling off horses. Please use sensibly and sparingly. Also, please ensure you have plenty of water and sunscreen for riders, grooms and supoorters. Pony Club members: Please ensure you have a correctly tagged hat and ensure you comply with all dress/tack rules/requirements. Non-PC members: there will be no formal tack check but please ensure all your tack, hats and equipment are in good order and comply with safety requirements. In exceptionally hot weather members do not have to wear jackets to compete in show jumping. However, they MUST wear long sleeves, and either a PC tie or stock. No short sleeved shirts/stock tops will be allowed. Parents are requested to please make sure that all children and ponies are kept well hydrated throughout the day.